Lightbox’s deal with Warner Bros has paid off with Spark’s streaming service about to launch season three of Blindspot exclusively in this market. TVNZ 1 still plans to screen the series but Lightbox will have it first, starting November 5 with a double-episode (it will stream weekly thereafter). Lightbox also has seasons one and two whereas TVNZ’s on-demand service doesn’t have any episodes to stream. Moreover, it will only have S3 catch-up rights after the TVNZ 1 transmission, which won’t happen until the agreed window of exclusivity has ended. Season one of Blindspot was initially a Sunday night sensation for TVNZ 1 but season two was shuffled from Thursdays to Mondays before being written off for late-night Fridays. It was one of the series in Lightbox’s sights late last year when it signed a new content deal with Warner Bros that included all seasons of the The West Wing, Veronica Mars and Pushing Daisies, plus the freshman seasons of Blindspot and DC Legends of Tomorrow. While Blindspot quickly burned out for TVNZ 1, it will help to provide Lightbox with a point of difference, especially since it will stream here within three days of its US broadcast. As well as broadening Hollywood studios’ revenue and customer bases, streaming series within days of the US helps to lessen the risk of piracy in markets where it might otherwise take months for these shows to go to air. Lightbox’s WB deal was in the works for more than a year and its negotiation reflects the studios’ interest in dealing with all players — broadcast, pay, streaming — in a fragmented market, even if Lightbox is a relative minnow compared to Netflix. Not all studios are bottom-line driven in their deal-making, and how their product is looked after can be just as important as subscriber numbers. And in that respect, this year Lightbox has made big strides, anyway. Among September’s most popular streams was another Lightbox exclusive, Preacher, along with Suits and Vikings. Netflix also streams Suits and Vikings but only Lightbox has the latest episodes. 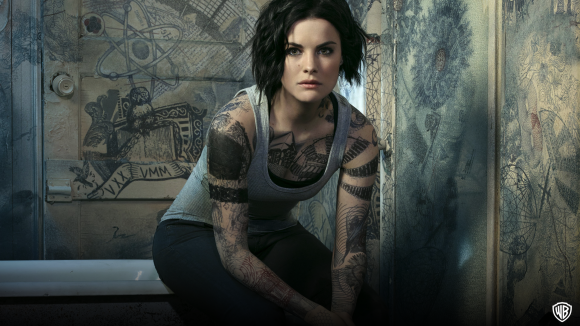 And the advantage of a series like Blindspot for Lightbox is it landed on the platform with a high level of awareness because of its initial broadcast popularity — which the streamer can now capitalise on further with exclusive episodes that distinguish it from not only linear TV but also Netflix and Amazon Prime. Smart move by TVNZ. Both Blindspot and Blacklist have drifted towards the tedious storyline following their first seasons. TVNZ opting to save its pennies for decent content rather than locking up tired content is bordering on rational behavior. I’m not sure why TVNZ bother with what they call on demand. Yes, you can watch it at your leisure if you miss the original broadcast – so long as it’s within a relatively fixed timeframe. Why do they even bother with “box sets” from overseas studios? I know it’s all due to the studio licensing but it doesn’t actually eliminate downloading. I know many who have resorted to having to download the last episode or so as the clock ran out before they could legitimately finish watching a given series/season. Phil will know more, but Mr Blonde TVNZ actually mentioned this at their 2018 launch. Per the Herald: Classic back-catalogued shows like Friends will now have a home online and old episodes of current shows will have a longer shelf-life thanks to TVNZ’s bid to acquire extended on demand rights. Mr Blonde, I think you’re doing the broadcasters a disservice. The environment has changed significantly over the last 5 years – surely you recall the days when if you missed the broadcast (and weren’t part of the 50% of households that had a PVR) that was your chance gone. TVNZ pays for the broadcast rights and a 28-day window – obviously the cost of extending that window exceeds the value that TVNZ believed it could obtain. TVNZ is evolving – it has stated an intention to have longer rights periods to content it acquires. Years overdue IMHO. Imagine if TVNZ had decided 3 years ago to drop $20-$25m on streaming only content (and/or extend its existing rights). Lightbox (essentially an ad-free service funded by Spark) probably wouldn’t have had any chance to gather its 250,000 non-paying subscribers. TVNZ, with its enviable brand and reputation, would have been the major streaming player by a much longer way. Opportunity lost.